The Find My Nearest Tool allows users quickly locate the nearest features to them from various map layers. The search centre initially defaults to the map centre and is shown as an orange marker. 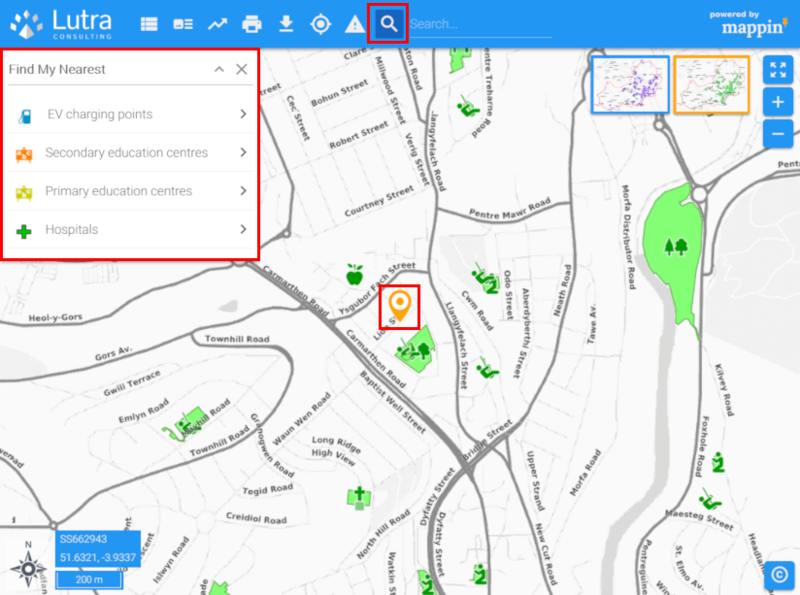 The search centre can be moved at any time by dragging its marker or left-clicking on the map with the Find My Nearest tool activated. When the user selects a layer (e.g. 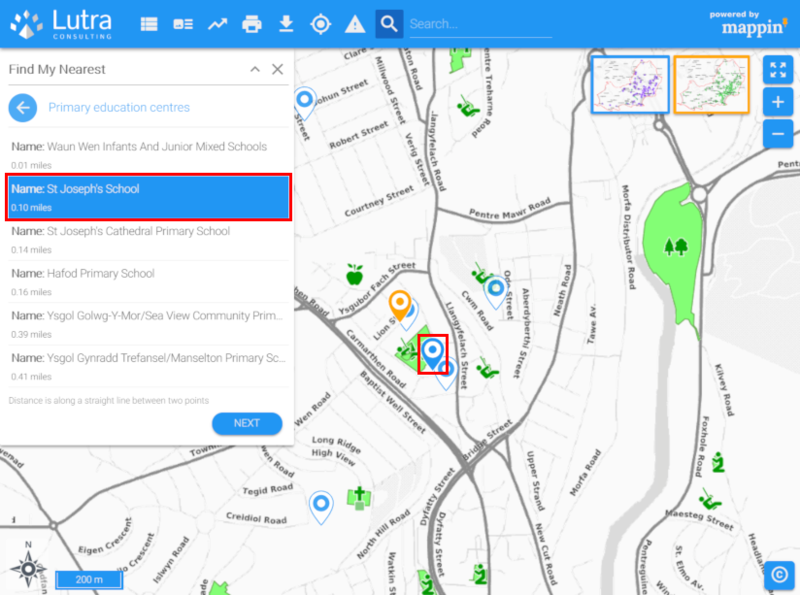 Primary education centres), Mappin shows the closest features on that layer to the search centre, both on the map and as a table (with their straight-line distance). The attributes displayed in search results can be configured in the same way used by the Search tool. Hovering over a search result highlights its location on the map and clicking a result will zoom to that feature and show its attributes using the Feature Info tool. The Find My Nearest tool has the following settings. If Mappin cannot zoom to the extent of all results for some reason (for example if the maximum zoom settings defined do not allow this) then this zoom level will be used as a fall-back. The number of results to display per page of results. When enabled, displays layers’ legend icons in the Find My Nearest panel. Specified which layers should be searchable with the Find My Nearest tool. The attributes included with tabular search results can be customised in the same way used for the Search tool. Please refer to the Related Configuration section of the Search tool’s documentation for details.